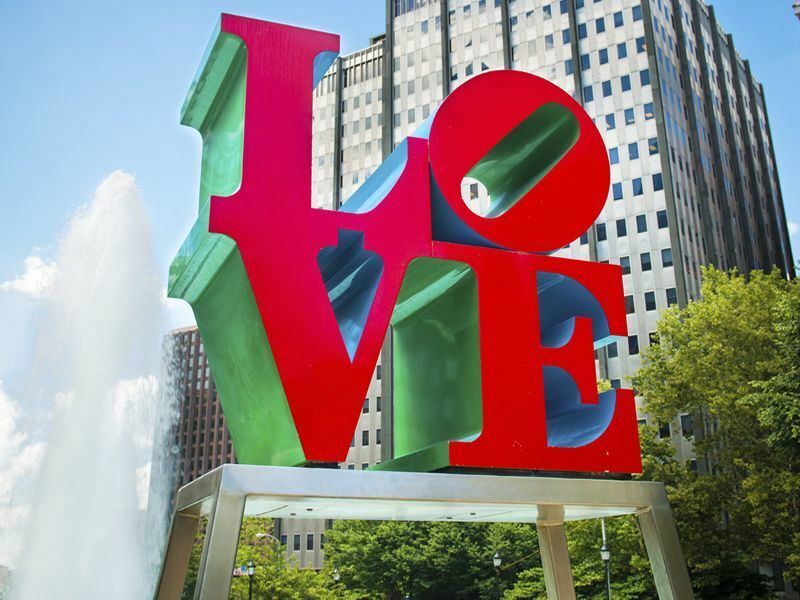 Freedom, culture and a whole lot of urban realness is what Philadelphia is all about! From the Benjamin Franklin House to the Liberty Bell it’s a fact that this Pennsylvanian city informs and excites visitors no matter what takes their fancy. I’m going to let you into some places that aren’t printed in the guide book because it’s much more exciting to stray away from the crowd than it is to be restricted. You won’t find any Fresh Prince from West Philadelphia, so let’s begin our Philadelphia day at 30th Street Station for its one of the main gateways from New York, New Jersey and Washington, D.C. I wrote my own travel rules by taking the NJ Transit train from Newark Penn Station to Trenton then the SEPTA to 30th Street Station. Also the Bolt Bus offers an inexpensive option from New York City, Newark and Washington, D.C. to provincial Philadelphia city centre locations. So, whatever which way you get to this alternative and captivating city is your decision, I trust you. JFK Boulevard has got you; just follow the urban sprawl of the shiny office blacks for Philly welcomes you. Are you a museum buff? Be acquainted with Logan Square it’s a charming area with a lovely looking water fountain, plus The Franklin Institute is sure to impress. I can’t help myself when I’m in a new place, I have a habit of taking a wrong turn but I say getting a bit off the map helps. Feel the international love by marvelling at the many flags that flutter in the breeze along the Benjamin Franklin Parkway. Let’s just say that I LOVE Philadelphia, there’s even a sign that proves it. During my Philadelphia morning I said ‘Hi’ to South Penn Square to be greeted with a sight that I didn’t forget in a hurry. Forgive me, for everything that was going on was Kosher, but the folk of Downtown Philly go about their business so I just did the same. A walk down Market Street is a must for its down-to-earth and like most of Philadelphia it serves up a hearty slice of ‘Urban Realness’ I thought I told you that Philadelphia writes its own rules? It’s like any exciting city found on America’s North-east coast for Philadelphia has an endearing side that outweighs the ratchet qualities, but being ratchet can work. Getting to know a city is all about seeing that edge! Let’s rewind the clock by taking a moment to reflect in the gardens that surround Independence Hall for it’s like a blast from the past. The Liberty Bell is waiting also, this bell plays significance from when America was ruled by Royal Britannia in the 1600’s. Philadelphia has no boundaries, imagine walking down the international themed Benjamin Franklin Parkway to then be in the heart of colonial America. Old City serves something else completely for it stands as a real life replica of a British looking town village; I knew that we had left our British mark in America somehow. Everyone wants to make it in the neighbourhood!? I found Philadelphia’s Gaybourhood purely by taking an unexpected turn I found a darling section of Philly’s urban cityscape; just take a left turn on Spruce Street and 9th Street to see a whole other Philly. Mixed with a select range of kitsch and cute shops this rainbow infused part of town is just lovely. Bookshops and coffee shops sit alongside pocketsize parks so you are sure to enjoy your snatched moments of Philly’s best kept secret. Finding a copy of Attitude Magazine can be a trifle difficult in North America so I struck gold when I found Giovanni’s Room; if that’s your thing I suggest you check it out. From museums to art galleries, city squares and coffee shops I have to say that I can’t wait to plan my next trip back to the city of the Liberty Bell. Philadelphia is unstoppable so don’t dare miss a second of this buzzing Pennsylvanian city. Article written by Joseph Harrison.